Russian rabbi; lived about the middle of the eighteenth century. 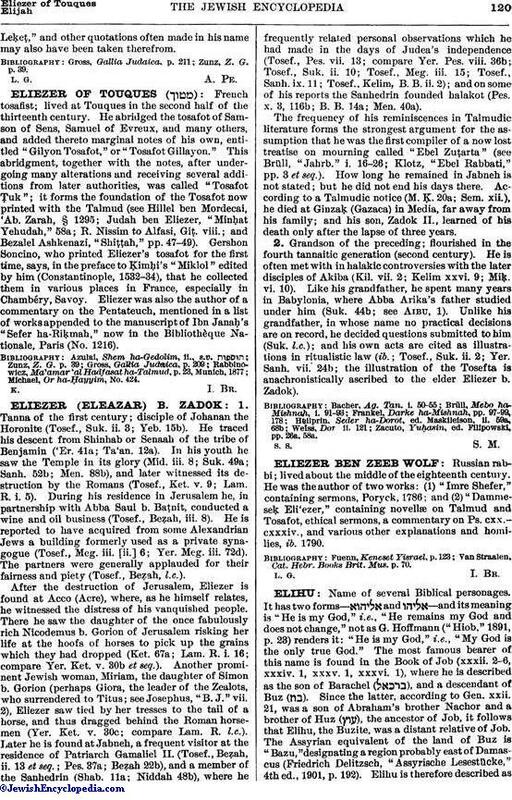 He was the author of two works: (1) "Imre Shefer," containing sermons, Poryck, 1786; and (2) "Dammeseḳ Eli'ezer," containing novellæ on Talmud and Tosafot, ethical sermons, a commentary on Ps. cxx.-cxxxiv., and various other explanations and homilies, ib. 1790. Van Straalen, Cat. Hebr. Books Brit. Mus. p. 70.